Earn up to 152 reward points. The drummer from Bowie's Blackstar. Mark presents a complete system to answer these questions. The book follows a system entitled D.R.O.P. : Dynamics Rate Orchestration and Phrasing. 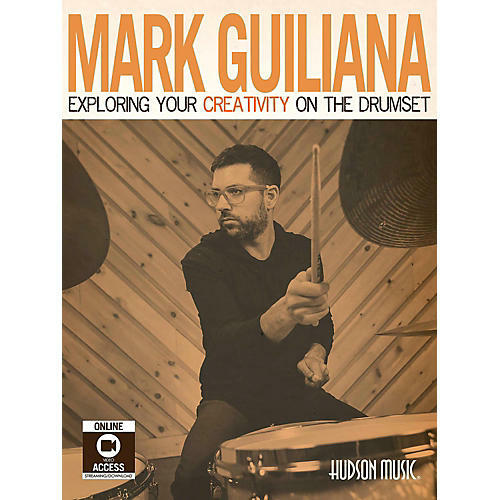 Mark pulls apart and addresses each of these building blocks individually presenting rhythmic concepts that will expand your ability to call on different rhythmic rates and subdivisions on command move them around the kit freely and ultimately be able to phrase them in exciting and sometimes complex ways that sound like polyrhythms and metric modulations but are actually constructed upon a solid foundation of drumming basics. This material will give you the confidence to make a personal statement on the drumset. Adding to this package is live footage of Mark playing with two of his longtime collaborators Tim Lefebvre (bass) and Jason Lindner (keys). Having played together for years these three musicians most recently formed the rhythm section for David Bowie's final album Blackstar. Watch Mark interact with these world-class musicians in electric and acoustic settings as they apply Mark's concepts in inspiring performances. The book comes packaged with a full-length DVD and the video is also available for download using a code contained in the book.